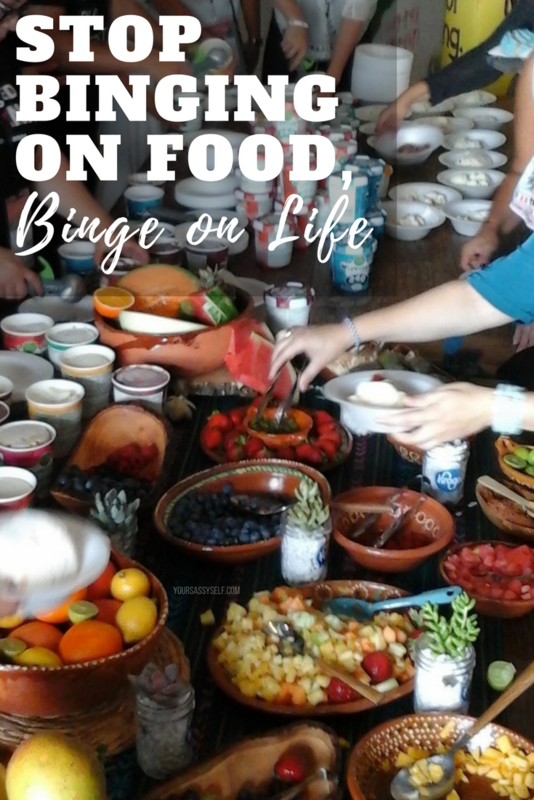 Ready to stop binging on food, binge on life? Oprah and Deepak’s 21-Day Meditation Experience, Shedding the Weight: Mind, Body and Spirit is aiming to do just that. If you too struggle with over indulgence – whether it be as an overeater, shopaholic, workaholic, alcoholic, etc. – this is for you. While the language used is more related toward our relationship with food, Shedding the Weight is a metaphor for any area of your life where you’re trying to find lightness and/or resolution to any toxic residue left from past hurts, etc. Trust me, I know all too well how frustrating that can be, but this meditation experience was designed to help guide us through and binge on life instead. The series begins by reminding us that food is simply designed for nourishment, not a place to find fulfillment. The same is true about anything else we may find ourselves binging on, whether it be food, alcohol, drugs, spending, etc. What we need to do is allow ourselves time to pause and identify what we’re really hungry for. Why? So that we can appropriately deal with the toxic emotions, relationships, etc. and leave all that overconsumption behind us. 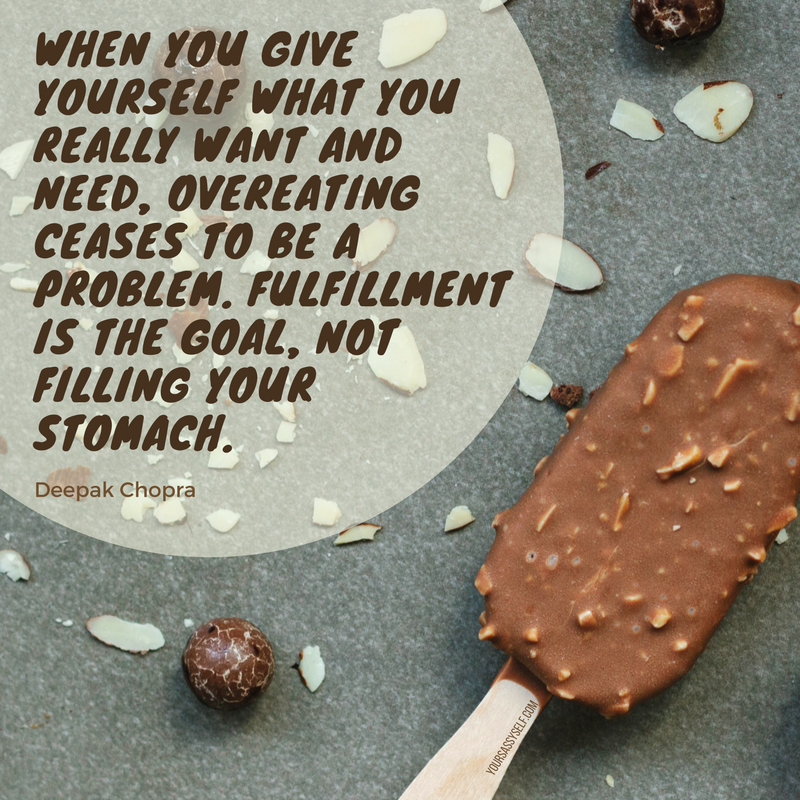 “When you give yourself what you really want and need, overeating (overdrinking/overspending/etc.) ceases to be a problem. Fulfillment is the goal, not filling your stomach.” – Deepak Chopra Yaaass! And it starts by acknowledging that the present is where it’s at. Not in the resistance and heaviness of past hurts, regrets, and emotional burdens that we wish we could change. Changing the past is not the issue. According to Deepak, you are not the person you used to be. Those are only thoughts trapped in your mind, not the reality of the present. When you live in the present, you begin to see the endless possibilities available to you in the here and now. It’s not about what you were, but who you are now. And the beauty is you’re free to perceive yourself anyway you choose. To help you figure out where to begin, Deepak suggests you start by examining what causes anxiety in your life. What are your greatest regrets? What or who makes you angry, sad, or feel less than? 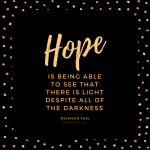 Once you begin to acknowledge these experiences and shed light on the darkness, you’re able to bring awareness and healing to your life. According to the meditation experience, that doesn’t mean that we should never allow negative emotions back in. We can totally experience both negative and positive emotions. We just can’t let them take hold of us, keeping us buried under years of hurt and pain. We have to make a conscious choice to let go of those negative tapes playing over and over in our heads. The best way to keep the flow moving is to allow stillness and the present moment in. Doing so brings us back to the awareness that we can let them pass through, and allow love and hopefulness back in. And how much more productive is that? 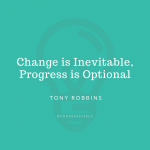 If however, like me, you find that you think you’ve tamed those negative thoughts, but begin to find yourself dealing with complacency, resentment, or procrastination, well that’s still toxic residue left from the past. Say what? I know, I know. I’ve been on procrastination mode for a while. I guess that means there’s still more toxic residue I need to work through. It’s no wonder I’ve been feeling off. Deepak says its human nature to feel like we’re lacking something. Just as much as it’s human nature to seek to fill the void by doing things mindlessly. 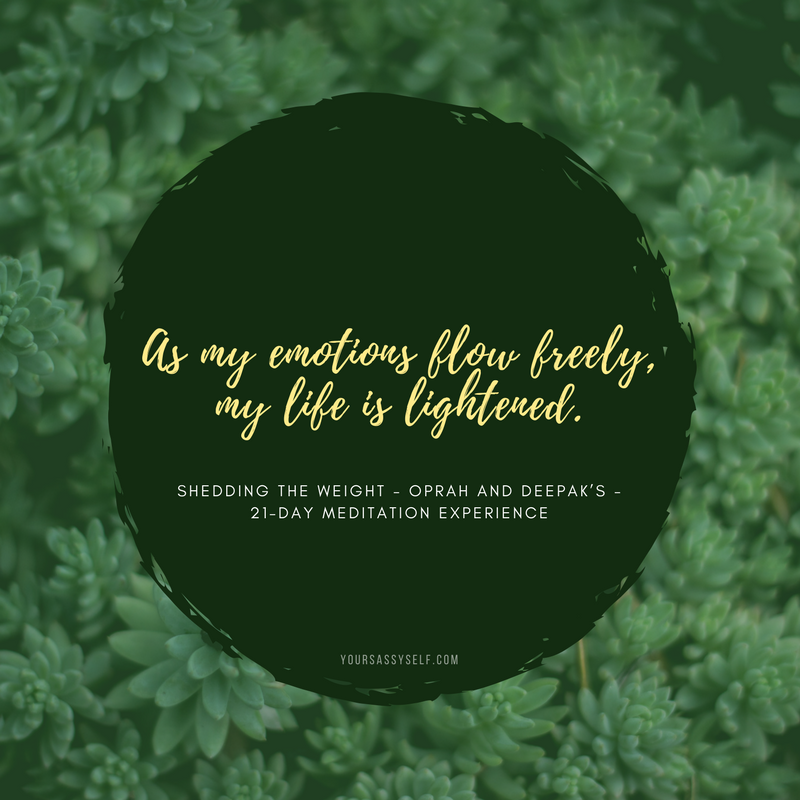 Whether we do it through overeating, overworking, excess drinking, sleeping, or any other excesses or indulgences, we’re just reacting to feelings of lack. 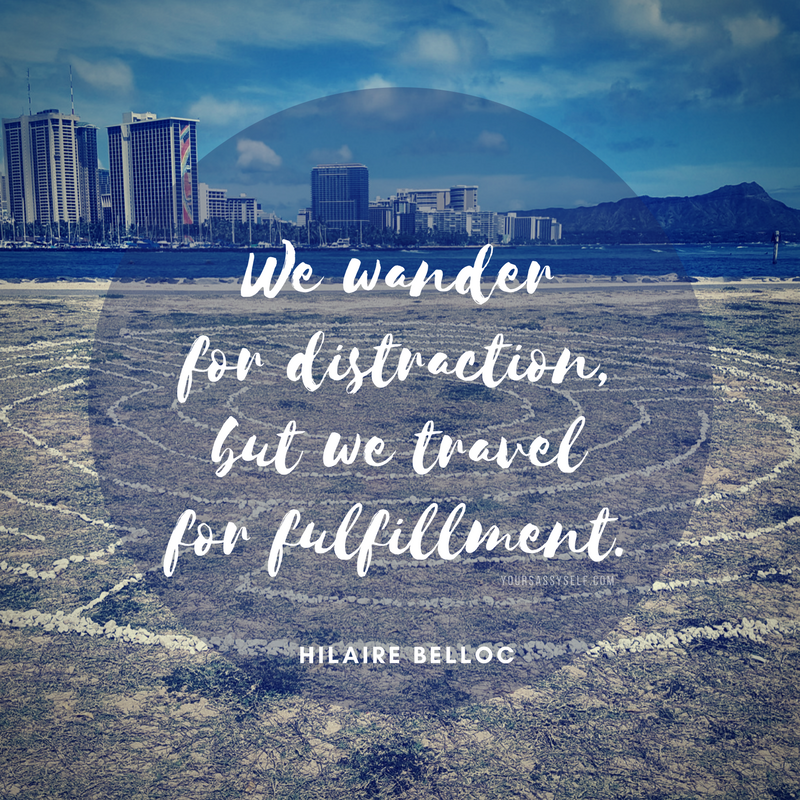 However, when we stop to acknowledge what we’re really hungry for, we can switch from being mindless to being mindful. This allows us to realize our true self is perfect, whole and complete just as we are here and now. What are you hungry for or lacking right now? Are you bored, lonely, tired, etc. seeking stimulation or a warm, satisfying feeling that food, work, alcohol provide? Then Deepak says you can allow yourself the indulgence, without judgement. You just have to make a conscious effort to acknowledge that it’s coming from your separate self, vs. you’re true self, which is always fulfilled. The truth is only internal consciousness of your true self can heal emotions. Nothing external like food, a better job, bigger house, etc. ever does. Happiness comes from within, no matter how hard we try to fight it. 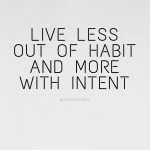 Unfortunately our habits and behaviors sometimes work against us, creating a mind, body confusion which sends us back into unconscious behavior. Self care, awareness, and being present in every moment are the only ways we can see through the confusion of everyday life. 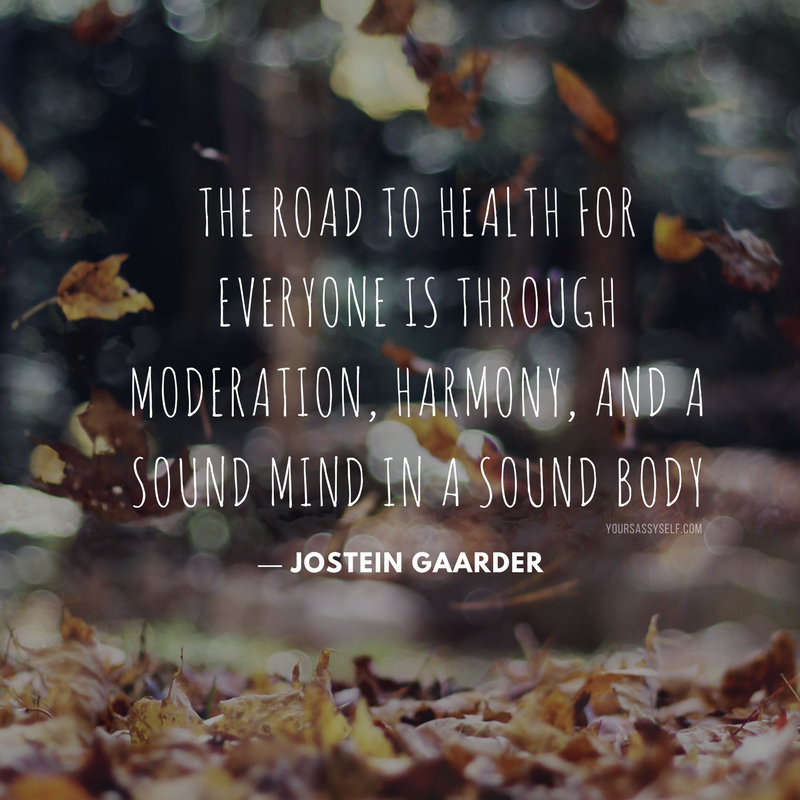 Whether we realize it or not, all of our everyday experiences are metabolized into our bodies much in the same way we metabolize food to extract nutrients. Our awareness processes every thought, feeling, and action into biochemical terms. That’s how thoughts can literally be fattening because they trigger an overeating behavior. I know personally my biggest culprit in overeating is lack of sleep. To help overcome this, Deepak suggests I work on a couple of things. First he suggests that I return my body to it’s natural rhythm of waking and sleeping by following a daily routine and reducing chronic stress. Once that’s taken hold, then I need to shed some awareness towards the habits and/or behaviors that perpetuate the sleep less, eat more cycle. Oprah adds that only when we’re emotionally nourished, will the physical cravings stop. However, you can’t change what you aren’t aware of. That’s why connecting your binge to a real need, that can actually be satisfied, is the only way to end binging behavior. Talk about an aha moment. That’s why quick fix solutions hardly take. No overeater, alcoholic, workaholic, shopaholic, you name the ailment, can be fixed by trying to fix one part of our lives, without focusing on the whole. 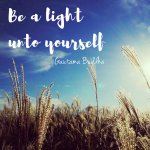 It’s about digging deep, finding that inner sense of lack, and healing those perceived weaknesses or faults with the confidence, compassion and kindness of our true self. That’s the only thing that can bring balance back into our lives so that we choose to do what’s best for us, versus trying to find the ultimate quick fix for our ailments. The truth is we are responsible for the energy we allow to live within us and around us. So rather than have toxic, negative energy rule, choose positive, nourishing energy that recharges every part of your being. Meditation is a great tool in that journey. 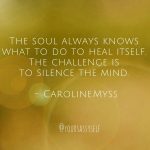 It allows us to bypass the denial and defensiveness of the ego, by allowing us to sit in stillness, closer to our true self. It’s a heavy task for sure, but one that I’m actually ready and willing to take on. Join me and let’s see where this leads us! What are you most looking forward to as you stop binging on food, binge on life? Totally agree Veronica. That’s why I always jump at the chance at doing these meditation experiences. I learn something new each time! I’m doing the 21 day meditation too! I’ve done them before, but this is probably one I neede most! Isn’t it great how much growth each one presents. i think they role them out exactly as i need them and today was definitely a day filled with peace for me.